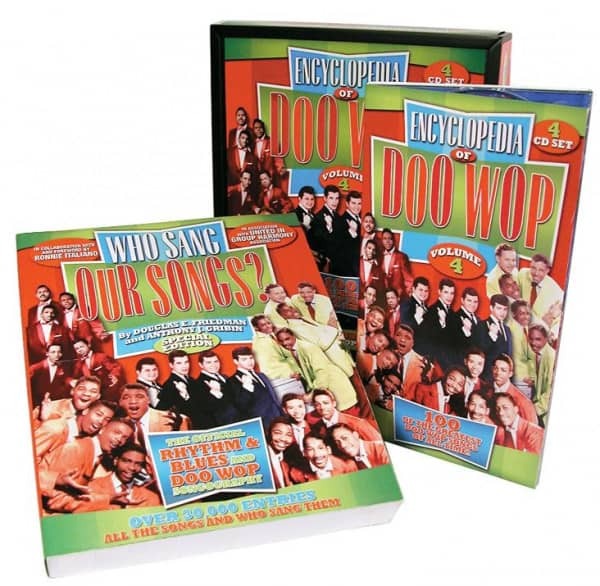 The Fourth Volume Of The Encyclopedia Of Doo Wop, Packaged In A Deluxe Wooden Box, Along With A 490 Page Book Covering The History Of Early Rock 'N' Roll, 'Who Sang Our Songs?'. These One Hundred Original Tracks, By The Original Artists, Are Some Of The Most Sought-After Collectible Doo Wop Favorites Of All-Time. Customer evaluation for "Encyclopedia Of Doo Wop Vol.4 (4-CD+Book)"